From 1936-1939, Spain was wracked by a brutal civil war, sparked by a coup against its elected Second Republic. 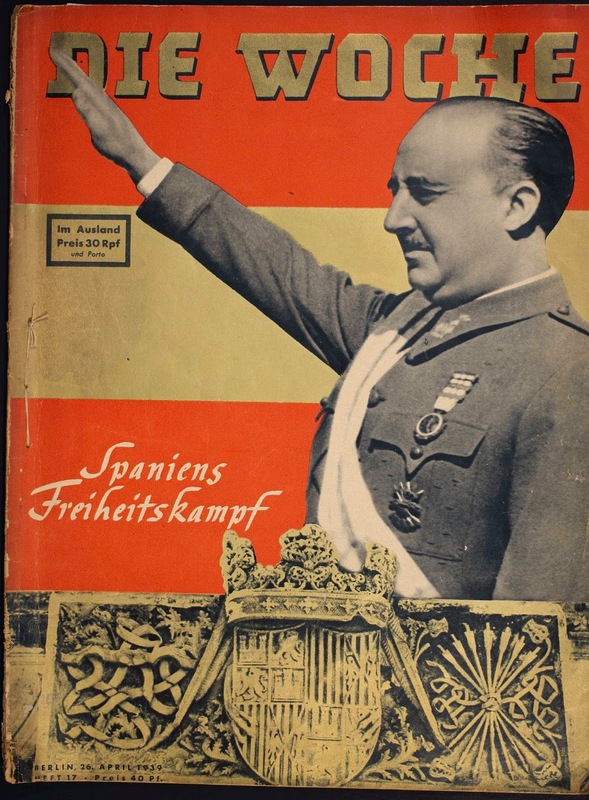 In the course of the conflict the rebelling Nationalist forces of General Francisco Franco ultimately overpowered their deeply divided Republican opponents. The conservative Nationalists profited from the military aid of fascist Italy and Nazi Germany, while the Soviet Union gave a lesser degree of support to the leftist, more regional Republicans. The plight of the Republicans became a cause célèbre for the European and North American Left and for minority groups within those same societies fighting for equality. The conflict was highly mediatized and both camps and their supporters made extensive use of propaganda, resulting in the creation of huge amounts of literature and periodicals. The Nationalist victory, however, did not signal the end of publications memorializing, regretting, or continuing the war. 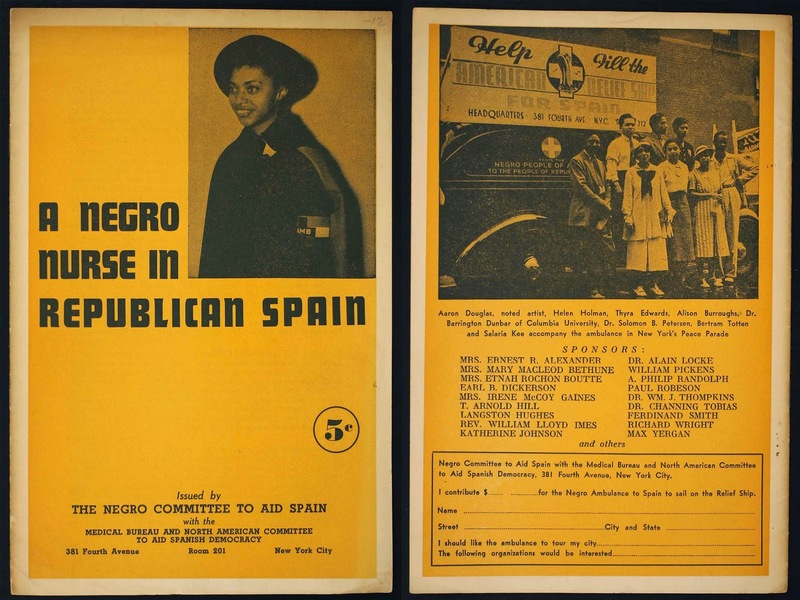 A notable part of this particular print legacy—some 394 titles produced both during and after the Spanish Civil War—is held by Brandeis University’s Special Collections. 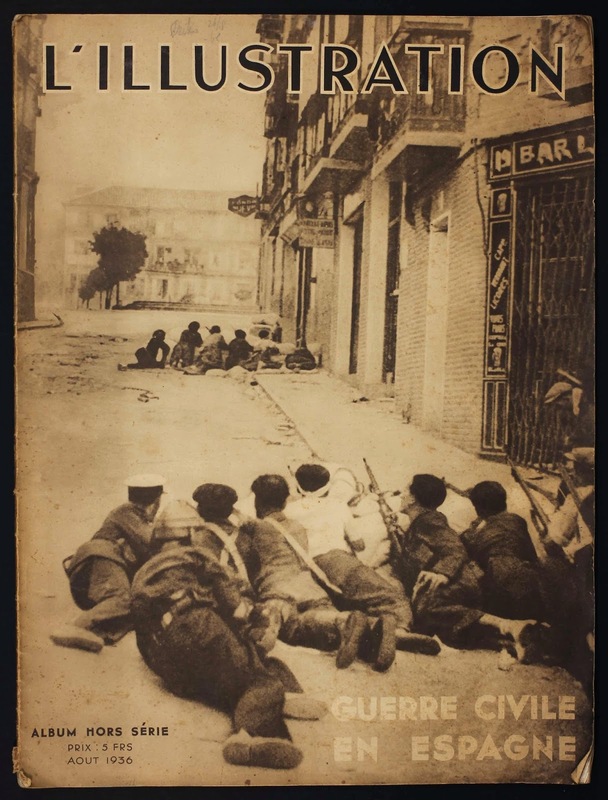 A large number of periodicals created during the Spanish Civil War were created by the fighting forces, many by particular units within those forces. These publications were intended to promote the image of those fighters and to help maintain unit morale and cohesion. 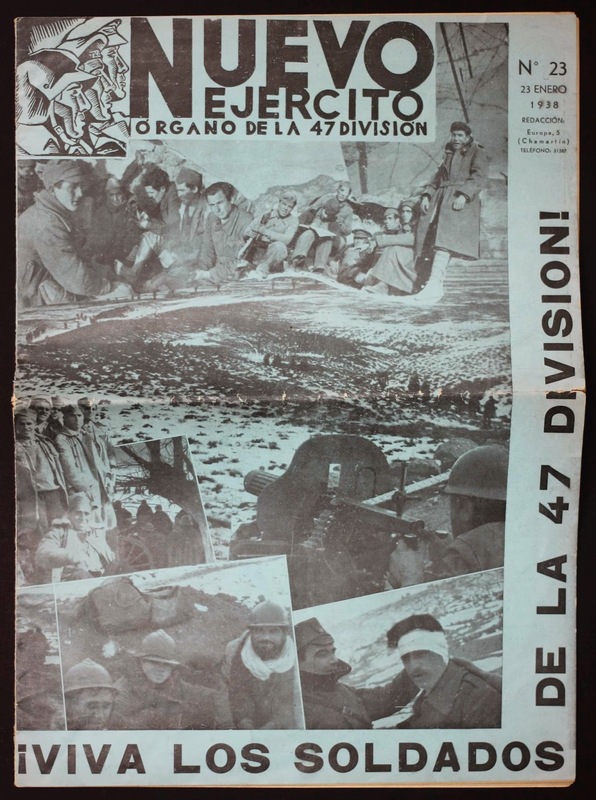 The January 23, 1938 edition of Nuevo Ejercito (New Army), the newspaper of the 47th Division of the Republican army, contained a summary of the division’s recent combat activity; a Catalan-language page; and unit news, all interspersed with photographs of the division’s soldiers in winter action. A similar approach is found in La Voz de la Sanidad, the newspaper of the international medical brigade attached to the 15th Division. Befitting the brigade’s multinational status, the paper was written in four languages: Spanish, French, English, and German. 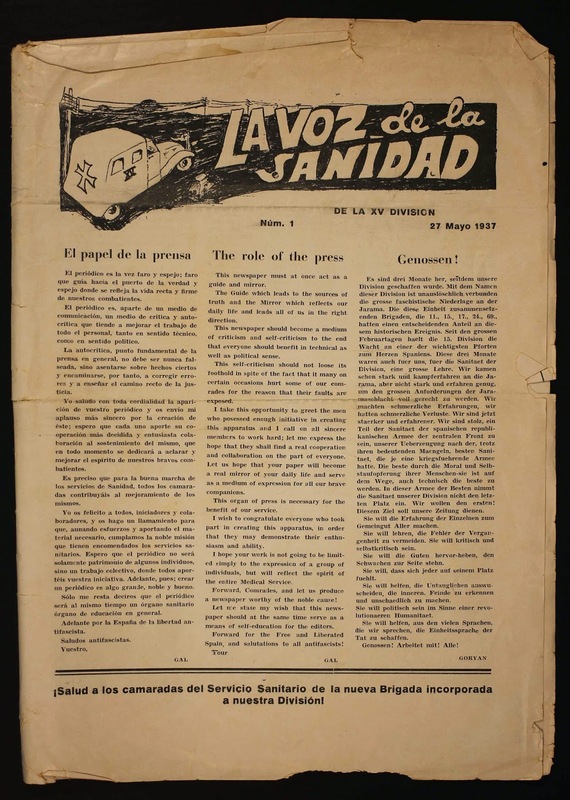 La Voz de la Sanidad’s content consisted of a mixture of the same items reproduced—side-by-side or on succeeding pages—in each of the four languages, alongside items, both informative and comic, unique to each language. 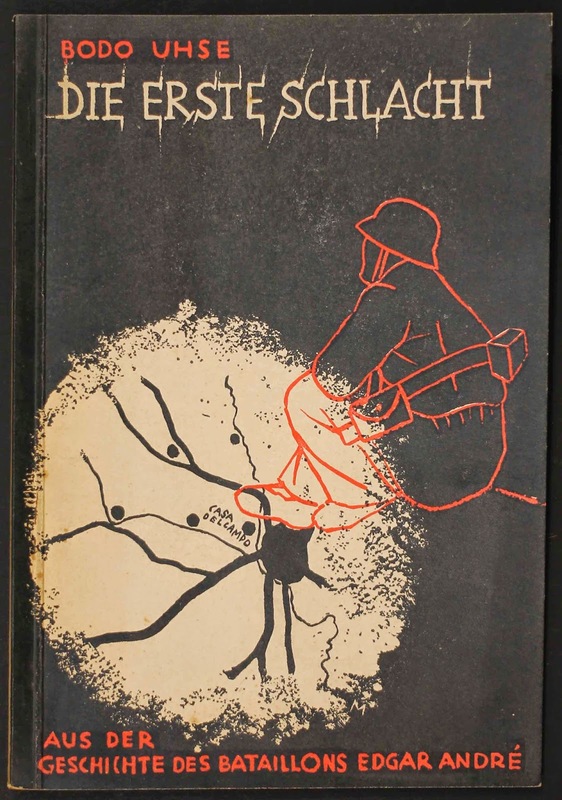 A third example of such a text is Die erste Schlacht (The First Battle), a 1938 account of the early days of the Edgar André Battalion – the first battalion of the International Brigades, named after a German Communist executed by the Nazi regime – by the German Communist writer, and International Brigades officer, Bodo Uhse. 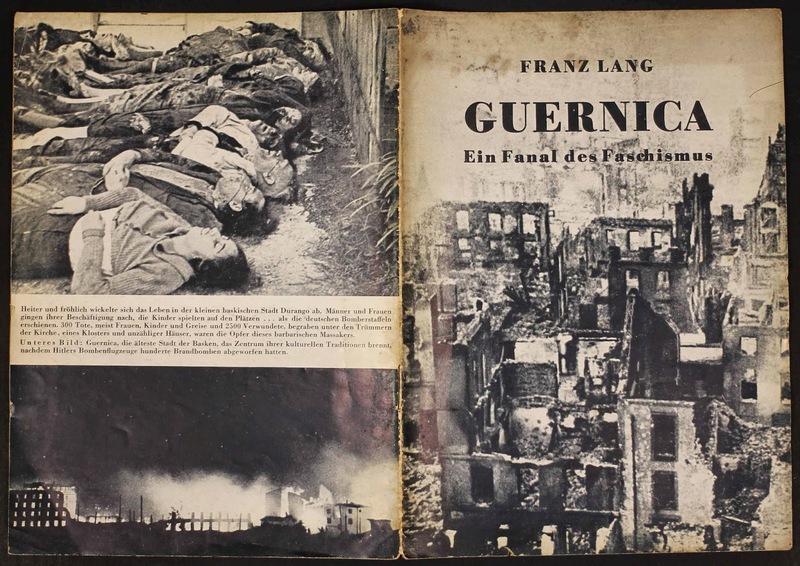 Uhse’s short book, written in German and published in the French city of Strasbourg, strove to commemorate those who had fallen in fighting on the side of the Republicans and encourage those Germans who, in opposition to fascism, might find cause with them. 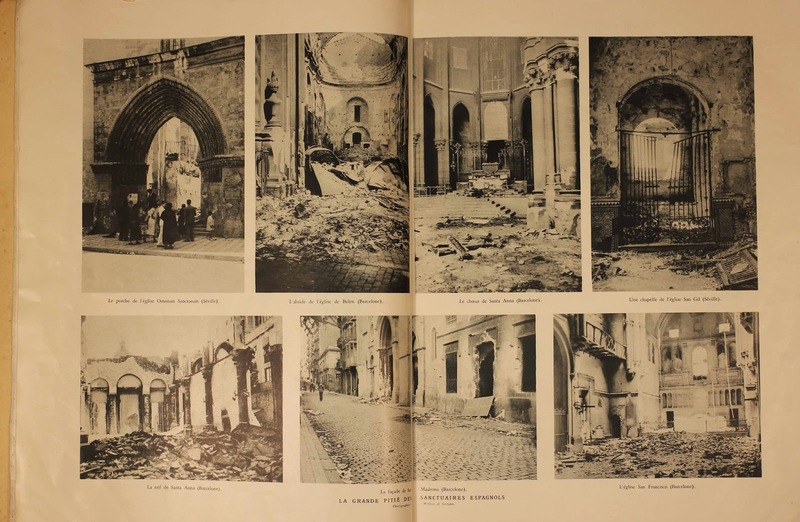 An additional example of this type of publication is the German-language pamphlet, Guernica...Ein Fanal des Faschismus (A Beacon of Fascism), produced after the bombing of that city. The text excoriated the fascist “beast” for the destruction wrought upon the Basque people, and called for direct material aid to the Basques so that they might succeed in the defense of their “freedom” in the face of fascist aggression. Finally, the example of quasi-neutral international media opens an interesting window on to how the conflict was perceived outside of Spain, outside of an obvious ideological lens. In August 1936, the famed French illustrated magazine, L’Illustration, published a special edition dedicated to the civil war. 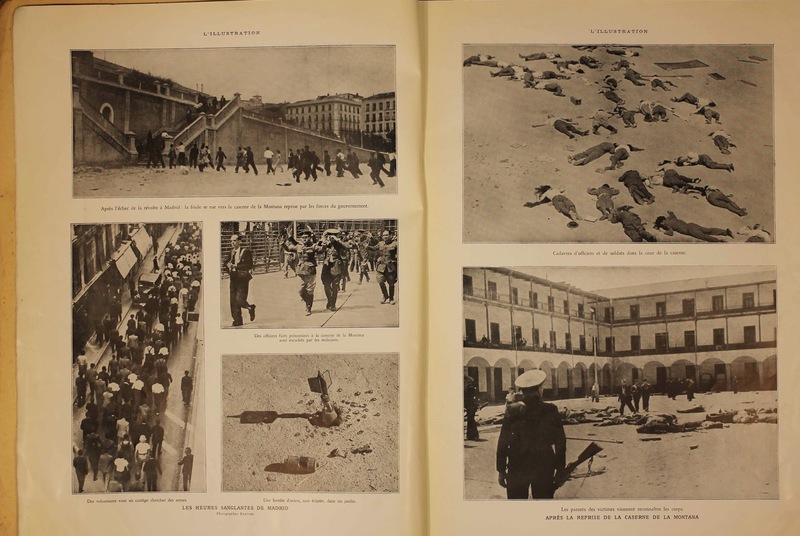 L’Illustration’s version of the war was one of utter tragedy, in which “fratricidal” conflict split the nation apart; its editors “could only see in the two Spains in conflict a single country which we love and which suffers.” Consequently, the magazine presented images of the conflict’s devastation, whether the rather graphic images of corpses left in public places, those of defiled churches, or of cities after bombardments and shelling. These particularly dramatic choices appear to serve an almost fatalistic reading of the conflict, in which no action can be taken but to observe this tremendous amount of suffering. 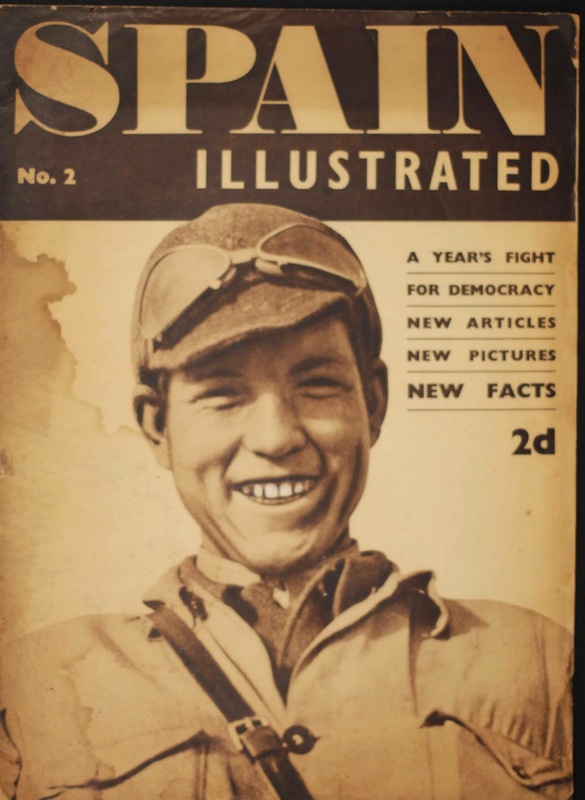 L’Illustration and the other publications cited are but a small part of the Spanish Civil War periodicals collection, which serves to present the passions and problematics of this conflict, in both its trauma and its international resonance.